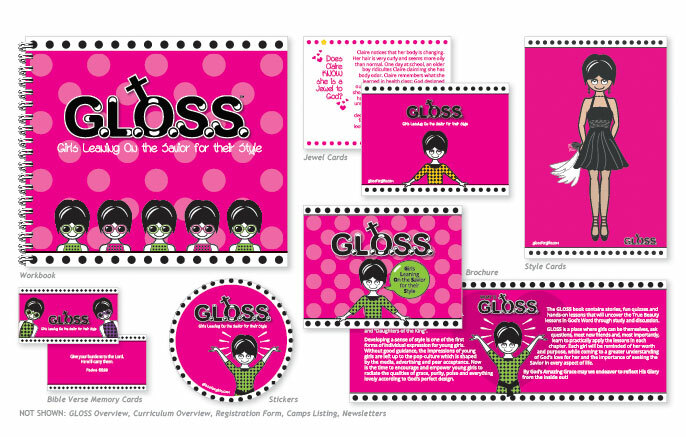 If you haven’t seen the dottie and cheerful GLOSS for Girls website that we designed, you should go on over and check it out. It’s the perfect companion to the charming and educational cards, collateral and book written and produced by the founder of GLOSS for Girls, the fabulous Wendy Tacey. Wendy pretty much had us at hello the first time we met, and we couldn’t be more proud of the work we did together. Girls rule!